We are the first Clinic in Poland which introduced a twenty-four-hour Primo Vision Time-Lapse monitoring of the embryos. 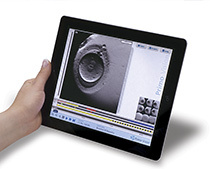 Thanks to Primo Vision Time-Lapse Monitoring System placed inside the incubator, we have opportunity to observe and record each stage of embryo's development. We increase chances of successful embryos implantation! Every 5 minutes the system records images of embryo's development stage which allows to detect possible abnormalities which may prevent successful implantation. The embryos are kept in incubator and monitored by Primo Vision from the moment of fertilization to the day of transfer without changing the optimal environment or being exposed to pH or temperature chances.